Q: What’s the difference between concrete and cement? A: These two terms are often used interchangeably, even by the experts, but there is a difference between them. Cement is just one part/component of concrete. Concrete itself is a combination of cement, sand, and crushed stone or gravel. When you combine these components and add water, a process known as hydration will take place, binding everything together to form the rock-like substance that we know as concrete. This process can continue for many years; this means that concrete will actually get stronger with age. Q: What is portland cement and how is it different? A: This is a common point of confusion for many people. The truth is, portland cement doesn’t refer to any specific type or brand of cement but instead is a catch-all term for the cement used in creating concrete. It’s a generic term much like ‘stainless’ steel is. Additionally, it isn’t right to refer to things as cement mixers or cement pavement. The correct terminology is concrete pavement and concrete mixers. Q: Are there different types of concrete out there? A: The answer is yes, although it might not be quite in the way you might expect. The differences found in concrete doesn’t come about as a result of using different components or ingredients but are as a result of using different ratios of the same components. The ratios used will differ based on the intended end use of the concrete. The proportions of your mixture will determine the durability, strength, porousness, smoothness, and malleability of your concrete. You could even ask for an environmentally-friendly concrete blend that will be porous enough to allow water to seep through it, thereby allowing it to get back into the soil instead of running off into the sewer and drainage lines. 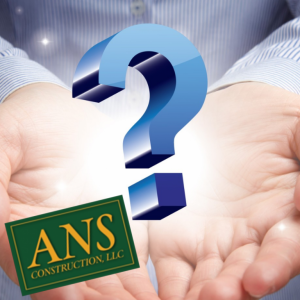 Q: Do I need the services of a concrete contractor when dealing with a large concrete job? A: The answer, even if we do say so ourselves, is probably a big YES. While we can admire the self-sufficiency of people willing to do things themselves, the fact is that working with concrete is a complex undertaking. You will need a deep understanding of concreting practices to place, compact, strike-off, level, and finish your concrete. All this while keeping in mind the fact that concrete requires keen timing and a good sense of the allowances you need to make for weather conditions in various places. Your best shot at success is to either have someone experienced to lend a helping hand or hire the services of a professional concrete contractor. Q: Will my concrete crack? Does it mean my structure is weak? A: While seeing cracks in your concrete can be a bit unnerving, it usually isn’t something you need to worry about. Concrete will occasionally crack, especially in areas with extreme cold/warm weather. The way concrete contractors minimize this effect is by putting in control cuts or joints in the concrete mass so that any stress on the concrete is absorbed and dissipated without stressing the concrete itself. It’s the same thing engineers do with steel bridges, where they leave a bit of a gap between pieces to allow for heat expansion. Any cracks you might notice shouldn’t immediately set off alarm bells. They are usually only surface cracks and don’t indicate any underlying weakness in your structure. However, should you notice that the two sides of your structure bordering the crack you see are moving in opposite directions to one another, you should have your contractor or an engineer come in and have a closer look. Q: Why should I use concrete for my driveway and parking lot when asphalt is a cheaper option? A: While it’s true that asphalt will initially cost you less than concrete, the difference in price will be more than made up over the lifespan of your lot. Quality concrete can give you over 30 years of service with minimal maintenance. Asphalt, on the other hand, requires regular application of seal coating to prevent cracking as it ages and deals with the elements, and this will be even more frequent if you experience a lot of vehicle traffic. When you weigh the cost of buying sealers plus the shorter lifespan of asphalt against the long life and maintenance-free nature of concrete, concrete wins out big in the long run. Q: Does concrete always have to be grey? Do I have options here? A: You have a lot of options when it comes to the color of concrete you would like. There is an almost unlimited array of finishes you can choose from for your concrete, whether it is for indoor finishes or exterior application. It’s all up to you. Q: How difficult is it to remove stains from concrete? A: For one thing, it isn’t easy to stain concrete under normal circumstances. There are, however, certain chemicals and agents such as acid and rust that can leave a stain on the surface of your concrete should they come into contact with it. Depending on the severity and stubbornness of the stain, there are various stain-removal options you can look into such as grinding, scabbing, shot-blasting, scouring, and planing. These options, referred to as dry methods, are used for mainly entrenched stains. There are easier wet methods that utilize water or certain chemicals to either dilute or dissolve the material causing the stain, which can then be swept away or blotted up afterward. Q: What is seal coating? A: Seal coating, also referred to as pavement sealing, is the technology that involves the application of a protective layer to pavements made of an asphalt base. Seal coating is done to protect it from the damages caused by oil as well as water, ultraviolet rays damage, and other harmful elements. Q: What are the different types of seal coating? A: There are three basic types of seal coating, petroleum-based, coal tar based, and oil based. Two additional options, Fast-Dry and Acrylic, are more suitable for commercial spaces because of the amount needed, how quick they dry, and their ability to last longer. Q: What causes damage to asphalt pavements? A: Multiple factors can affect the condition of asphalt surfaces. One natural element that you cannot avoid is change in the weather. We know that alternating from hot and cold temperatures will cause damage and eventually make the surface material brittle. Over time you will start seeing cracks and crevices in your pavement. There is the also constant pressure from the movement of vehicles and other heavy machinery on the pavement. Other causes come from extreme, unnatural and unexpected pressure such as falls of extremely heavy matter or debris on the pavement. Q: Which type of seal coating is the best option in the market? A: Being the best choice depends on different considerations. Fast-dry sealers are more expensive and dry in about an hour. Fast drying can be extremely beneficial and suits areas with a high flow of traffic that cannot be redirected for long periods of time. Q: Which part of the year is seal coating most required? A: Seal coating is most beneficial during the cold climate because of winter cracking that is a direct result of freezing and thawing of the pavement material. Summer is another critical time for pavement as the sun’s heat and UV rays will impact the condition of the asphalt. All in all, the best time to seal coat asphalt surfaces is a matter of personal choice after considering your specific factors. Based on the knowledge and experience of the most experienced service providers the recommended for a seal coating project depends on your local climate, for the northeast we recommend some time between April to October as these months are more likely to have temperatures in between very cold and very hot. The ideal temperature for starting a seal coating project is around 50 degrees. This temperature will help ensure faster drying and curing. Q: How do oil leaks from cars affect the need for seal coating? A: Since asphalt is in most cases a petroleum-based product, it will react negatively to other similar products such as gasoline and vehicle oils. Damage can be reduced and even avoided with the aid of a seal coat material. Q: How is seal coat applied? A: To begin, the surface must be made completely clean and dry to ensure proper adhesion upon application of the seal coating. Applying the material itself is done with the aid of pressured spray equipment and/or a squeegee. The latter comes in hand-powered and self-propelled options. The application process takes two coats. There should be continuous agitation from the equipment to make sure that the consistency of the seal coat mix remains constant throughout the process. The sealer should be thoroughly mixed before application and yields about 60 square feet per gallon for each coat. Q: How long is pavement unavailable after application of the seal coating? Q: How often should seal coating be applied? A: The number of times required for the seal coating depends on numerous factors that affect the pavement such as the weather condition in the area and the amount of traffic the pavement itself is experiencing. Generally, a maximum of around seven years is possible for commercial areas such as shopping mall parking lots, tennis courts and the likes. In such places though, it is highly recommended to use acrylic based coatings. Acrylic, although more expensive is usually a better option in the long run. As always we recommend that you consult a professional if in doubt. Q: Is seal coating dangerous? A: Like most chemicals seal coating have its negatives. Because it is a chemical product, it contains by-products that can cause harm to the other living elements. However, the risk of it causing any issues can be significantly lowered or eliminated with the use of proper training, precautions and some common sense. One common sense example is keeping the area inaccessible by people to avoid the accidental contact. Q: What is the impact of seal coatings on safety? A: Temperature change and rain can lead to asphalt erosion. The result of this erosion is the breaking, chopping, and loosening of the top layer, which then allows the entry of water and other elements that cause further damage to the asphalt. Damaged asphalt surfaces pose numerous safety challenges such as possible tripping and falling due to the cracks, as well as the accumulation of water, other materials or elements in the cracks. These are things that can result in unnecessary inconvenience, discomfort and possible injury to the public that can lead to liability claims and lawsuits. Q: Can seal coating be done as a DIY project? A: Thanks to the many online tutorials available today, nearly everything can be done as a DIY project nowadays there is no question that seal coating can be a Do-It-Yourself job as well. It is, however, important to note that the services of a professional are backed by proper training, detailed knowledge, years of experience, and of course the proper tools needed for the job. Q: Is seal coating a must? A: With the benefits it has to offer, seal coatings for pavements is a must. It keeps the initial investment in a safe and reliable condition.